So I ride a motorcyle. And I have a HAM license. And I have a bluetooth intercom system in my motorcycle helmet. And I’d like to do both, since riding is a lonely endeavour. I had already bought the Sena SR10 bluetooth mono interface with telephone headset and 2-way-radio feature to be able to listen to my Garmin Zumo 660 satellite navigation system and GPS based speed trap alerter (although you can do without the SR10 if the Zumo is your only other mono sound interface next to your phone). I also used the SR10 connected to a PMR so I already had set up the PTT button to my left steering handle. 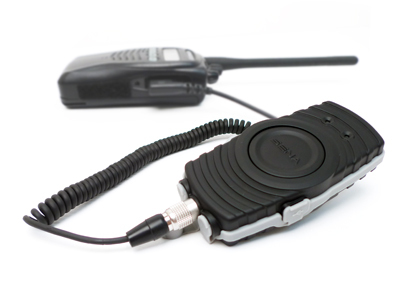 The PMR is a Kenwood one, so I used the Sena compatible cable for Kenwood 2-way radio’s. Then I bought the Yaesu FTM-10E.